I provide low rates transport to Airport pick up/drop off , cruise ship ,centeral railway ,Hotels,Clubs, Sports days,night parties,, .My charges are very low than the others. ..TOYATA HIACE 2010 MODEL * NEVER MISS SCHEDULES * CHEAPEST FARE * FULLY LICENCED ,DRIVER AUTHORTY.BOOK US RIGHT NOW!!! 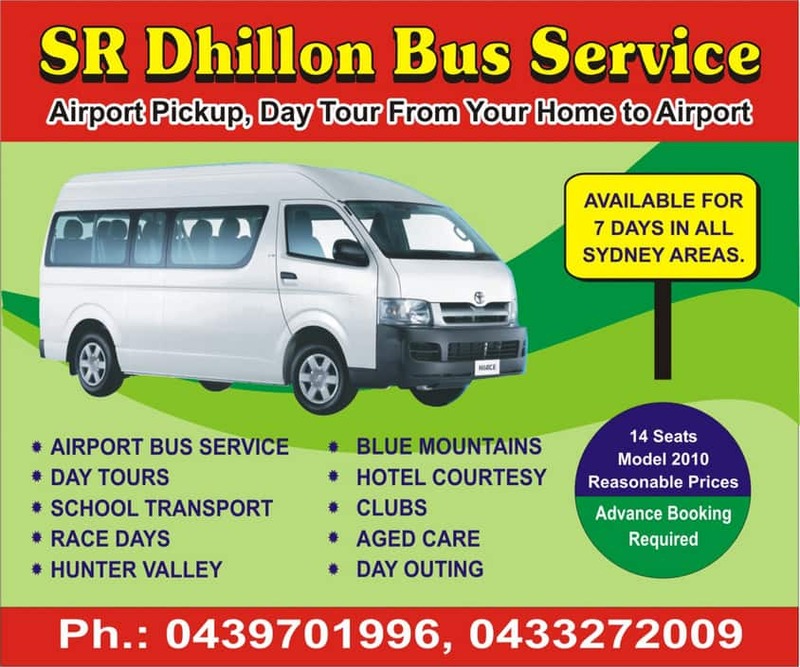 .GM ENGLISH, PUNJABI,HINDI Baby seat & booster seat Available, 15 YEAR Experienced .Sydney Airport Bus service , from Blacktown, Seven hills, castel hills, quakers hill, rouse hill ".Airport shuttle Service" proudly continues to provide and maintain an exceptionally reliable, efficient, affordable & convenient Door to Door Shuttle Bus. We also operate a return service whereby you are picked up from the Sydney Airport, Cruise Ship, Central Railway or Airport Hotel along with other passengers who are dropped off in consecutive suburbs.We always ensure our shuttle bus Runs are as direct as possible so as to minimise the amount of time passengers spend traveling to and from their address and the destination.We operate Transfers 7 days 24 hrs. We do operate our service on public holidays as well , Our first shuttle bus for the day can arrive at the airport as early as paggengers needs . We can operate up to 8 Runs a day.We do not operate to a fixed timetable. Our Transfers operate on passenger demand and they are formed around bookings received on a "First In, First Served" basis. This means that the first booking received for each day creates a single Run to the airport and, as further bookings are received, additional Runs are provided. We therefore strongly advise you to book with us as early as you possibly can to give yourself the best chance of booking your seats on the bus at the time/s you require. We accept bookings anytime(leaving before 2 -3 hrs ) . Using this service from 5,6 yrs , highly recommend, clean and best experience about all roads drivers . ???? Asked for a quote from Glenwood. Rate quoted was more than a taxi lol. I'm not getting any response from true local because some one showing Spinder in front of mY advertisements . All the way it was good place on starting time when I started my add in this page.people can give there feed back . Excellent Service and great prices. Highly recommend this Service. Love their service and I have used it number of times. Would like to keep using them. Very punctual and always accomodating. The journey is very smooth. Above all not expensive. Keep doing the good work guys.